Make the great outdoors a place of imagination and adventure for your kids! I found a project a few weeks ago that I thought would be great to do with my niece and I have been so excited to share it with all of you as well. Are you ready for this? 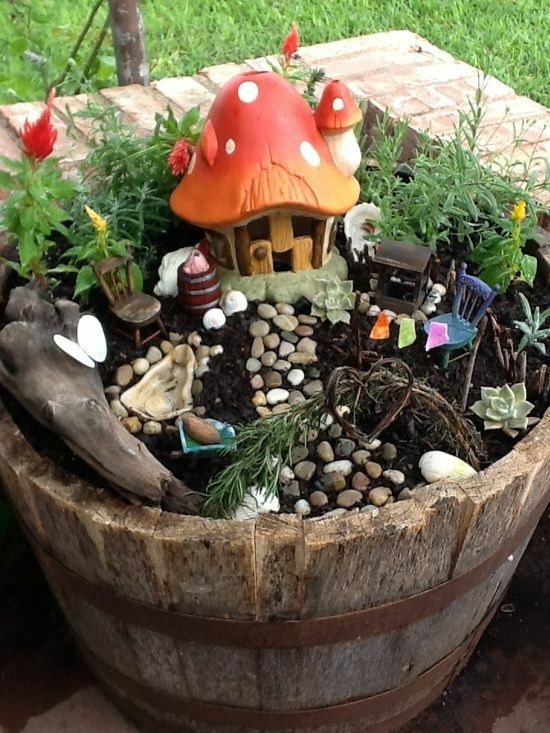 The idea is that you place a fairy home on a small patch of dirt (or in a pot) and add some enchanting trinkets to feel the magic. 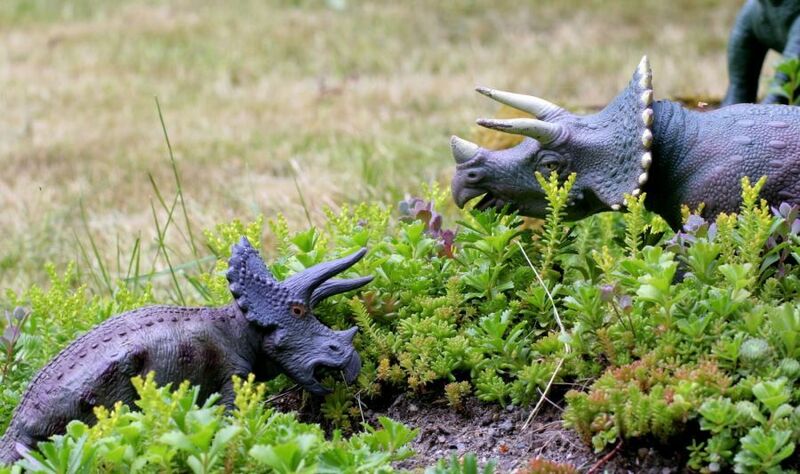 The great thing about these gardens is that they can be as big or small as you want them to be and no matter how simple they are, your kids will love them. Fill your pot with soil. Depending on how big your pot is, you may need to place it in the desired location before you fill. It might be too heavy to move afterwards. 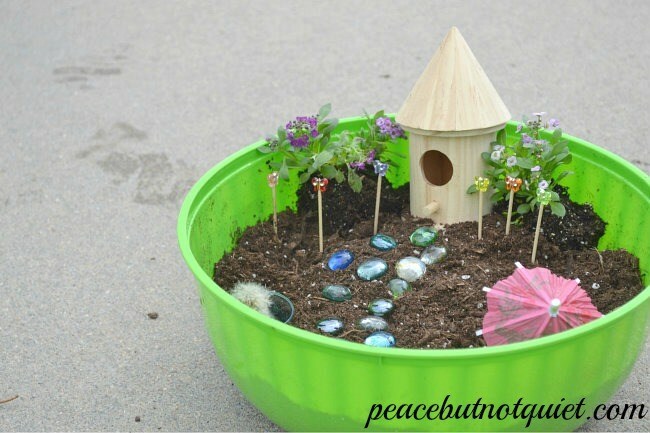 Place your fairy home on top of the soil. Gently plant your flowers around the pot. Place your beads/pebbles and any other magical accessories you want around the pot. Wait for the fairies to come! *Don’t forget to water your flowers. **If you want a low maintenance garden, you can use fake flowers instead. If fairies are not your child’s cup of tea, try adding pirates, dinosaurs or Army men to their pot instead. Remember, this is your child’s world and they are only limited by their imagination! More ideas can be found on our Pinterest page! 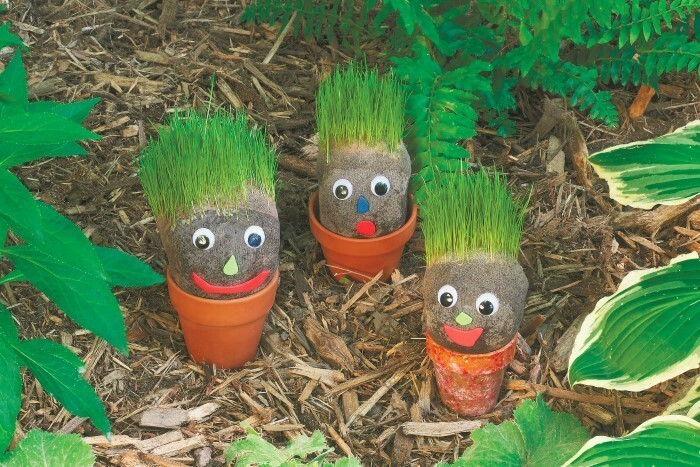 In celebration of Earth Week, April 17 – April 24, we will be kicking off the week with a grass gnome making event! 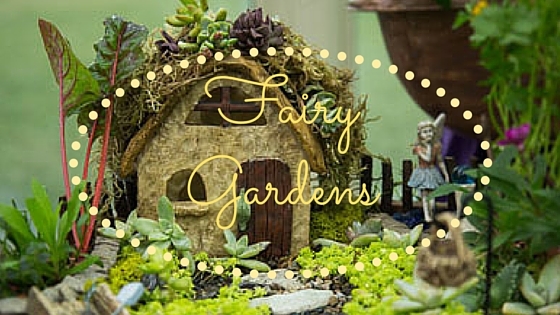 Sunday, April 17th from 12:00 p.m. – 2:00 p.m., we will be helping kids make grass gnomes at Oleander Estates! 2004 Oleander Ave. Manteca, CA 95337. RSVP to Jamie at jamie@raymushomes.com or (209)824-3080 by April 8th for a special goodie!